Seeking to exchange good practices and collaborate on local climate action, representatives of Bottrop and Agios Dimitrios held their first meeting in Agios Dimitrios, Greece from 22 to 23 November 2018. Participants of the meeting learned about the main climate challenges, goals, and initiatives of the partner city, identified areas of common interest and adopted a preliminary work programme to be implemented in the next two years. 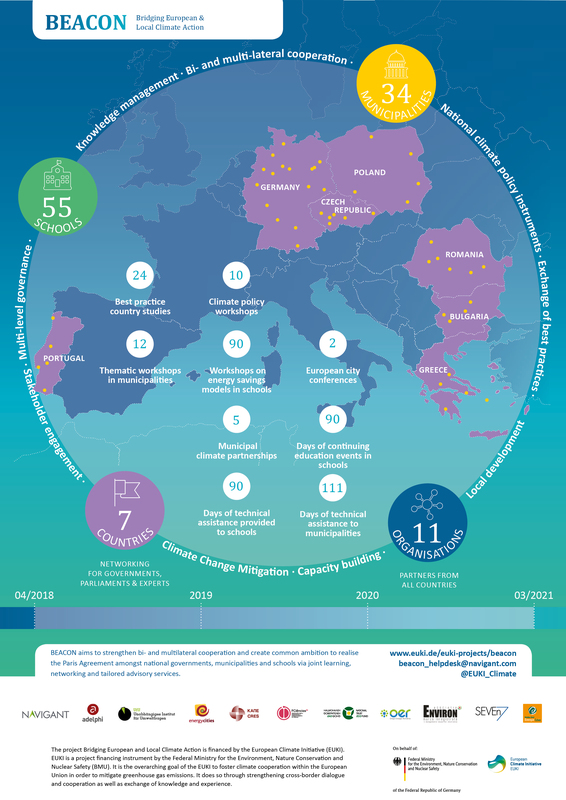 The climate partnership is facilitated by the project Bridging European and Local Climate Action (BEACON), financed by the German Environment Ministry (BMU) as part of its European Climate Initiative (EUKI). Participants of the climate partnership’s first meeting were welcomed by Mayor Maria Androutsou and Secretary General Ilias Savvakis of Agios Dimitrios, hosting the event. The initial focus of the meeting was to gain a better understanding of the partner city’s challenges, goals and climate mitigation action since the partnership is the first opportunity for the two cities to collaborate. The representatives from the City of Bottrop and its InnovationCity project were keen to learn about Agios Dimitrios’ citizen consultation processes, sustainability report, and efforts to integrate the UN Sustainable Development Goals into their daily work. 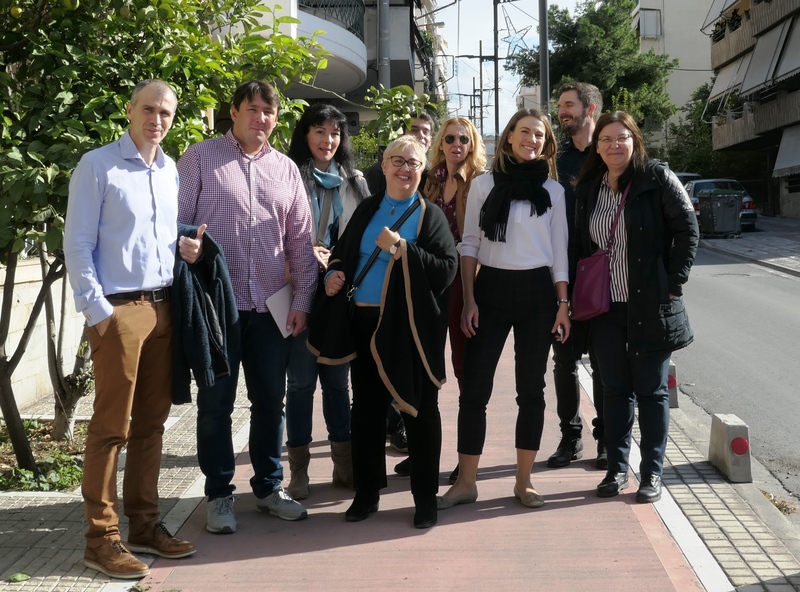 Similarly, the Greek participants learned about Bottrop’s InnovationCity Project which provides energy consulting for citizens through local contact points and offers incentives for energy efficiency measures, notably for building refurbishment. The project is currently on track to deliver on its objective of cutting greenhouse gas emission by half by 2020 compared to 2010 in Bottrop’s model area. Participants identified the following areas of common interest, which can be addressed within the climate partnership: 1) planning and monitoring for photovoltaic installations and energy monitoring in public buildings, 2) linking municipal climate action to the UN Sustainable Development Goals, 3) sustainable mobility planning, 4) planning of green, revitalised spaces and 5) green procurement. During a field trip on the second day, participants visited Agios Dimitrios’ community garden project and the municipality’s own summer camp for school children, which uses solar electricity and heat and features its own wastewater treatment facility. The group was also led to the areas affected by the wildfire in summer 2018. This visit revealed to participants firsthand the devastating effects of extreme weather events reinforced by climate change and the need for sustainable climate measures. The project BEACON is active in 7 countries, 55 schools and 34 towns and municipalities. For local climate action to be successful, the municipal representatives emphasised the need to engage with citizens and collaborate with local stakeholders from, for example, science, industry, and education. Municipal staff also welcomed the climate partnership as an opportunity to break barriers and foster exchange internally. Five more bilateral meetings are foreseen as part of the climate partnership, alongside participation in several BEACON-organised regional workshops and conferences.